Bingo has returned and he's looking to add to the Jones pack. If Jughead won't join with his fellow werewolves, maybe his sister Jellybean will. 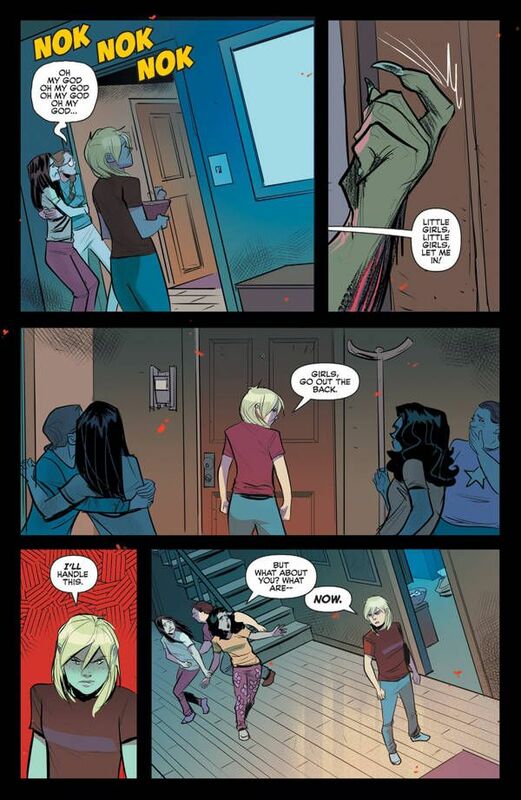 This schism leads to some epic werewolf-on-werewolf action with Archie and Betty struggling to keep up. This isn't where the real danger lies, though, there are some sinister forces pulling strings in the shadows, waiting for the right time to strike. 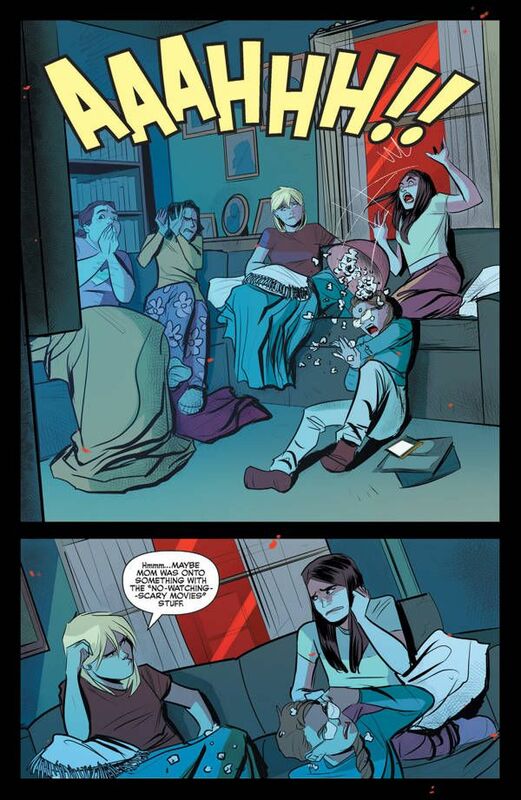 The family dynamic between Jughead, Jellybean, and Bingo is an interesting one. 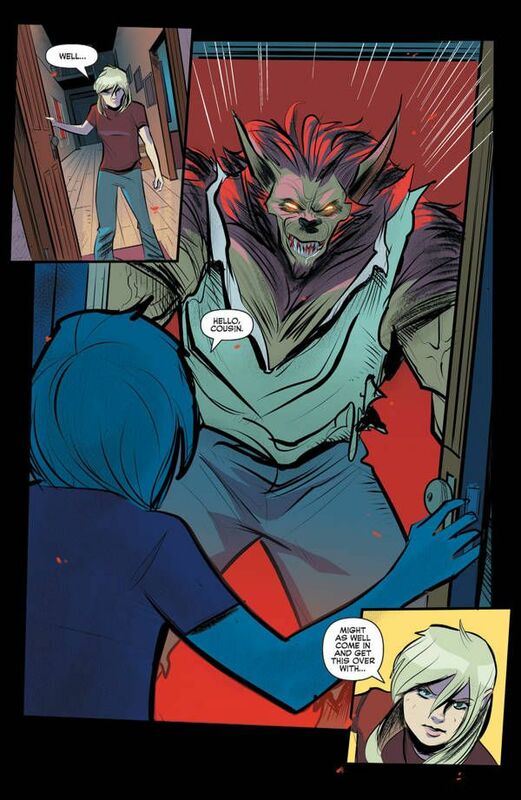 Jughead has gone against the grain, wanting to live something of a normal life by sticking with his friends and not embracing his lycanthrope side. Bingo is the direct opposite, staying with his own kind and looking down on humanity. This leaves Jellybean in the middle. She loves her brother, but he can't explain what's going on with her. Bingo can. There's probably a metaphor for puberty in there too. Artist Joe Eisma draws a helluva werewolf, but it's the human characters where he really excels. This is especially true for Jellybean. Despite her confidence, she's still a little kid. Her whole life was ahead of her before this family curse / gift rose up. Instead of having a childhood, she's forced to make a decision that will change her life forever. You can see that weight on her shoulders and it's matched by the look of concern on Jughead's face. He cares more about her life than his own. But seriously, the werewolves are also pretty awesome. I love how Eisma draws them in different stages of their transformations. Sometimes they're fully human or fully werewolf, but they're often in an in-between state, showing a little of both. This keeps their monstrous qualities while reminding us that they're still at least somewhat human. 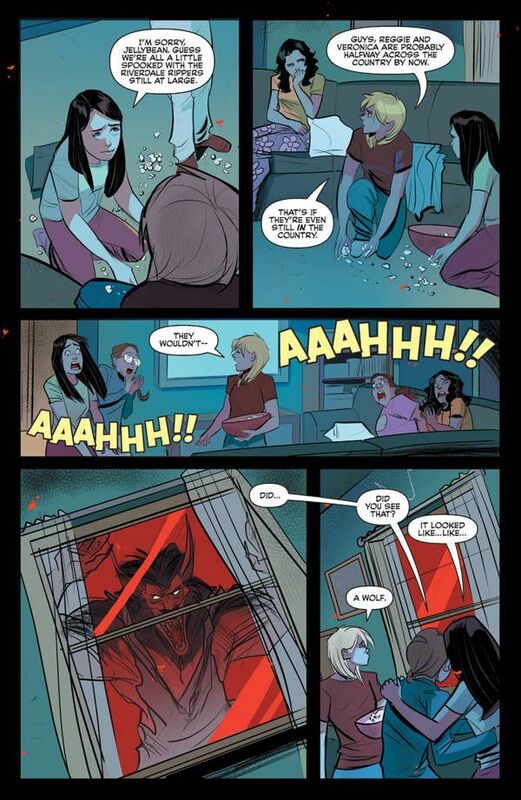 The action is top notch in Jughead: The Hunger #13. Letterer Jack Morelli feels these scenes with some epic sound effects that complement the blood and gore well. Now I know what it sounds like if someone's gut is slashed open by a werewolf's claw. Elena Cooper and Hiram Lodge have been in the background for some time. By the end of this issue, writer Frank Tieri makes it clear that they're the big bad of this series. There's so much more going on here and I cannot wait to see what they have up their sleeves. Adding to this mystery and intrigue is colorist Matt Herms, who fills this short and chilling scene with the glow of a TV screen. This casts an eerie glow on the characters as they work out their nefarious plot. Jughead: The Hunger has shaken things up considerably as it closes out its first of what I hope are many seasons. The series is going on a bit of a break for a crossover with Vampironica soon. While I'm eagerly anticipating that, I can't wait to get back to these characters and see what happens next. 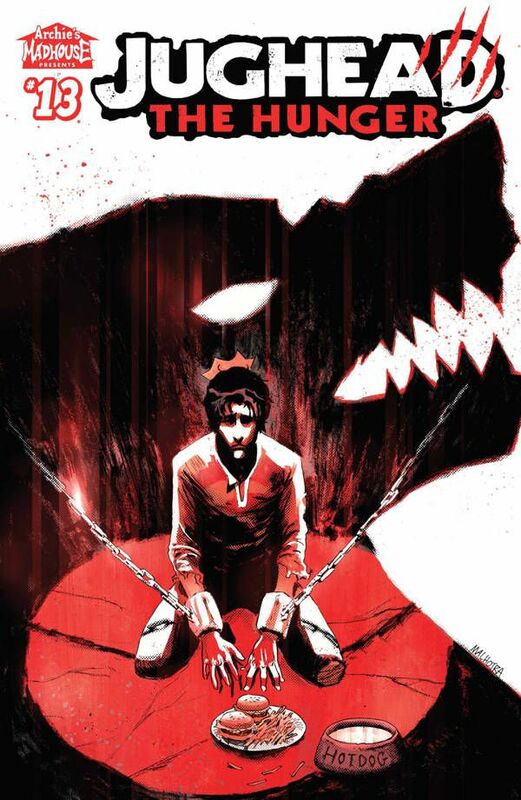 Archie Comics is steadily building a solid horror line and Jughead: The Hunger is one of its core titles.